March through central London for freedom and human rights on the black anniversary of the 1974 Turkish invasion and continuing occupation. 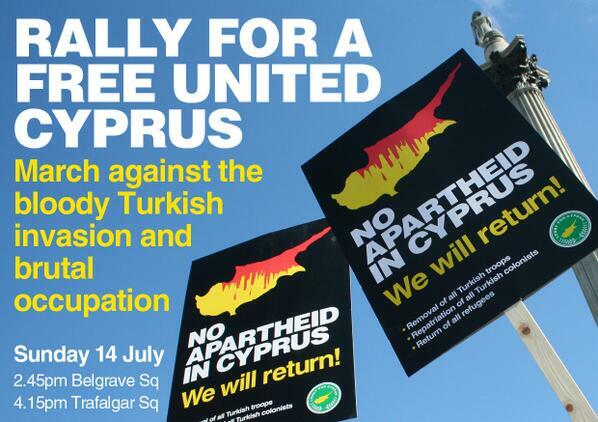 The Greek Cypriots are the legal owners of 92 percent of land in the occupied north and we want to return. We will never give up our properties to those who seek to profit from their theft and illegal purchase. 4.15pm: Rally at Trafalgar Square.